The recliners in the UpLifting Comfort Series offer comfort, customization and craftsmanship - plus the added boost of a power lift. Available in a surprising range of sizes and styles, the easy-to-use hand wand lets you control the gentle lifting mechanism, while industry-leading construction standards promise years of comfort. Traditional diamond button tufting highlights the back cushion of Dora. With a fully padded footrest and rolled arm, this lift recliner provides tremendous comfort for when you're watching TV or reading a book. Clean lines and contoured arms give Melody its simple, sleek appeal. 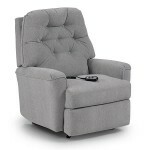 With a fully padded footrest, divided back cushion, and Visco Gel seat cushion, this lift recliner provides tremendous comfort for when you're watching TV or reading a book. A square button-tufted back cushion and contoured arms give Orion its clean, traditional appearance. With a fully padded footrest and Visco Gel seat cushion, this lift recliner provides tremendous comfort for when you're watching TV or reading a book. Rest easy after a long day in our Balmore power lift. 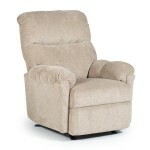 This traditional styled recliner features pillow top arms and a sectioned back for extra support. The Bodie Power Lift Recliner is styled to be the perfect addition to your home, whether it is an oasis in a man cave, a staple item in the family room or a nice reprieve in a den. The Brinley Power Lift Assist Recliner brings the ultimate Best Home Furnishings recliner to your home for superior comfort and the perfect seat. Indulge in the rich comfort of the Brosmer power lift recliner. 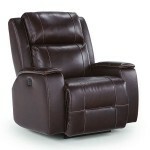 This recliner features extra tufting for extra comfort with chaise pad reclining which offers head-to-toe comfort. Large over stuffed pillow arms are featured for extra soft and comfortable arm rests. 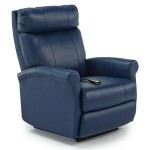 Bring this recliner to your living room, bedroom or home entertainment room for the best seat in the house. 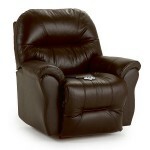 Sit back and relax in style with the Codie Lift Recliner. One of our most advanced, versatile recliners in the Best Home Furnishings line, the Colton, is like the first step into your home after an exhausting day - a sigh of relief. 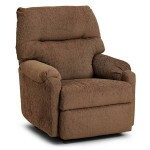 The Conen Power Lift Recliner by Best Home Furnishings will provide the ultimate combination of style and comfort. 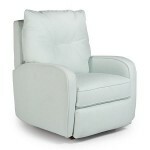 Settle into the cool, calm and collected Felicia Power Lift Recliner. The futuristic Ingall is ahead of its time. The jovial Irvington recliner has a pleasant surprise in store. The Jojo power lift recliner offers simplistic comfort. Its power lift allows for easier mobility when entering and exiting. 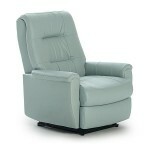 It features a motorized recline and lift to make this piece an optimum addition.